Birth date and place c. 1820 Drummara (Dromara), Down, Ireland. Physical Description Height: 5 ft. 9 ins. Complexion: fresh. Eyes: hazel. Hair: light brown. Marriage date and place 25 Jul 1851 St Michans, Dublin, Ireland. Children Mary Ann (Marian) Caroline b. 1856, Bootle, Liverpool, Lancashire. Robert Thomas b. 1866, Perth, Western Australia. 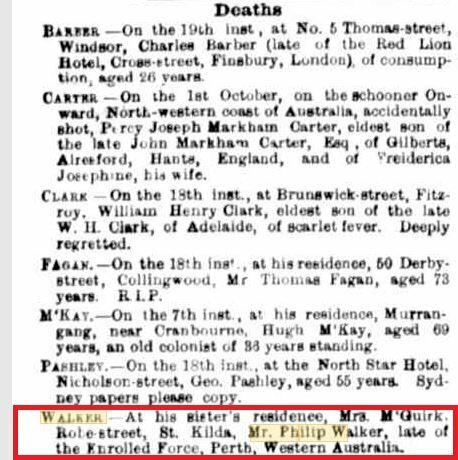 Death date and place 18 Dec 1875 Robe Street, St Kilda, Victoria. Death Notices and Obituaries The Argus 20 Dec 1875. Regiment(s) 89th Regiment of Foot. Regiment No. and Rank #1309 Private. 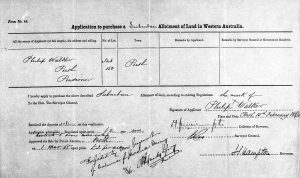 Attestation date and place 3 Nov 1838 Belfast, Antrim. 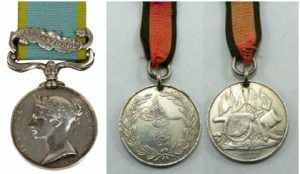 Service/Campaigns West Indie 27 Mar 1839 to 4 Jun 1846 – 2 years 3 months. North America 5 Jun 1841 to 26 Apr 1847 – 5 years 10 months. Gibraltar 1 May 1854 to 14 Dec 1854 – 8 months. Crimea 15 Dec 1854 to May 1855 – 5 months. Musters 1841 West Indies & Canada [WO12-9129]. Discharge date and place 13 Dec 1859 Fermoy. Length of Service 21 years 61 days. Post Discharge Pension District Dublin (1859). Newry (Nov 1860). 2nd Belfast (Dec 1860). Armagh (May 1861). 2nd Perth (1862). 1st Perth (1874). Melbourne (1875). Pension Amount 1/- per diem. Increased to 1/3d. per diem on 23 Feb 1875 for service EPF. 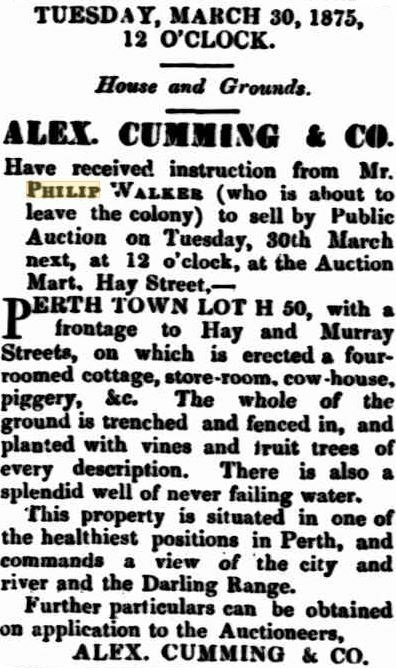 Land Grant/Purchase 1 Mar 1865 Suburban Lot 150, Perth – 5 acres @ £2 per acre (purchased). 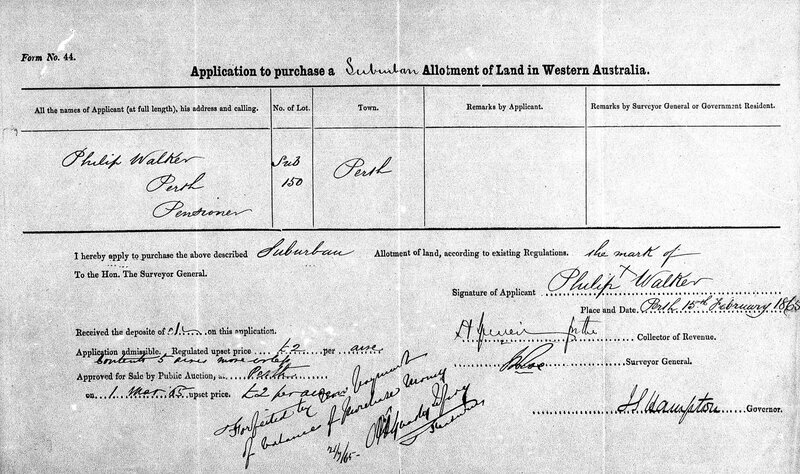 21 Jul 1865 forfeited for nonpayment of purchase money. 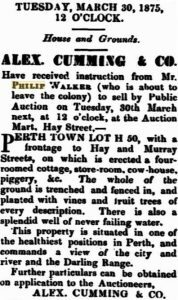 30 Mar 1875 sale at auction, Town Lot H50 Perth (see sidebar). Misc. 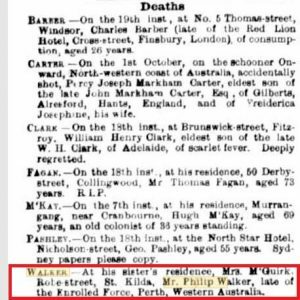 Newspaper Articles Perth Gazette 8 Jan 1869. Inquirer & Commercial News 3 Mar 1875. Departure from WA 1875 to Victoria; date & vessel unknown. Is this the same lot as the one previously forfeited? Walker fined for trespassing stock!